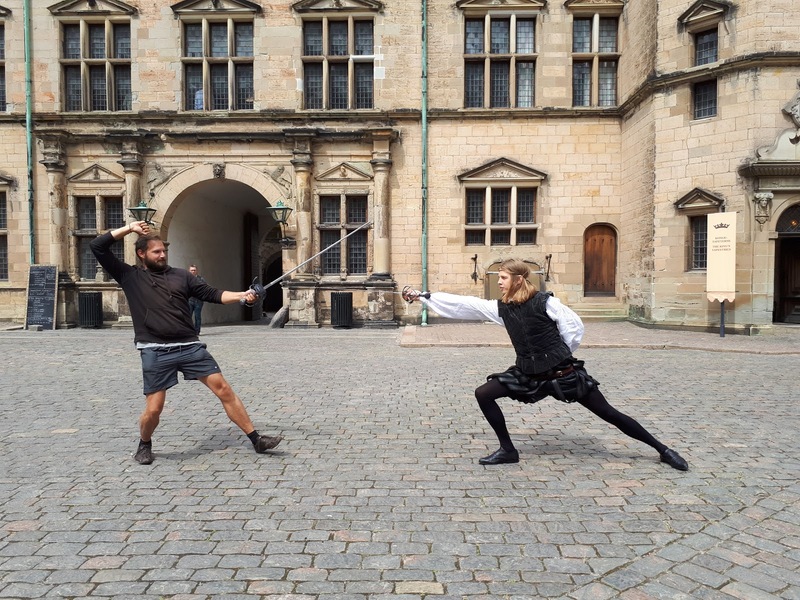 Kronborg castle was the setting for yet another mission on my Denmark Challenge. Carina from Travel Run Play and I had to find 2 legendary figures in the castle: Holger the Great Dane aka the protector of Denmark and Hamlet, the brain child of Shakespeare. The castle was the inspiration for the castle in Shakespeare's world famous work. That's also why people refer to it as the Hamlet castle. We found both Holger and Hamlet and I even got into a little fight with Hamlet himself. That man knows how to fence :-) He was there to perform the Hamlet story all over the castle. A very cool and unique way to perform Shakespeare's master piece if you ask me. Ah also my future got predicted and truth to be told, it was quite accurate. Very strange.